Hold on to the back of your man’s cut and get ready for one hell of a ride! KA is back with the boys from Chaos. They’re doing what they do best: keeping it real, keeping it honest, and keeping it together as a family the only way true bikers do. 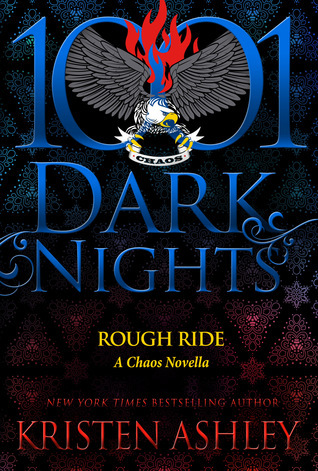 I jumped in and speed read the yummy goodness that is Rough Ride. This is a short, one-sitting kind of read, so I am gonna do you the favor of not saying too much other than that you need to buy it, read it, love it. True fans of the series will revel in being immersed once again with the Chaos brothers. It’s amazing having moments with the lovely ladies they call their wives and seeing the over the top, leather-clad protectiveness that makes all hearts swoon. 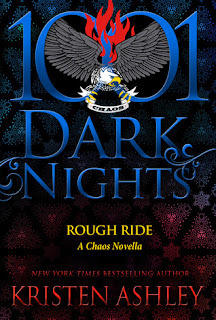 5 Star Reading, Rock Chicks!